As bold as this statement might be, “Avengers: Infinity War” might be one of the most ambitious movies of all time, and certainly the most ambitious blockbuster. This film takes what nearly 20 other Marvel films have established and creates a bold concept to have them all collide. 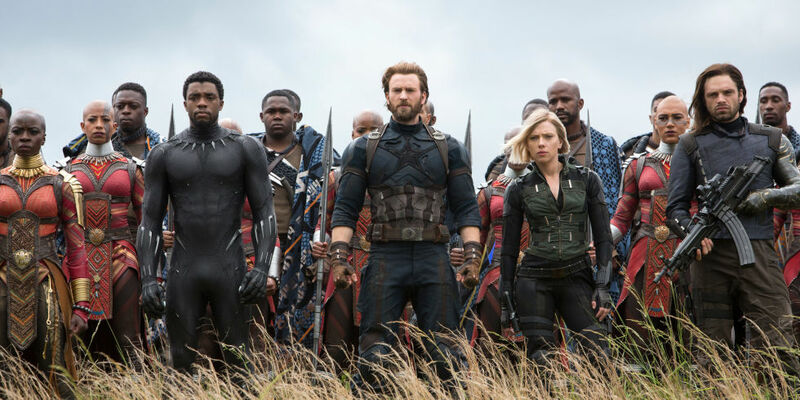 “Infinity War” has over 50 major characters and roles, each with their own quirks, subplots, and backstories, some of which haven’t been addressed since the end of their last movie, like the Asgardians at the end of “Thor: Ragnarok” or what Captain America has been up to since “Civil War.” Throw all of that into a story about a threat to the entire universe, and you’ve got a movie with a lot to live up to. And yet, “Avengers: Infinity War” not only lives up to that hype, but just might have surpassed it by giving us way more than expected. 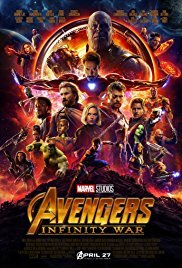 What could have been just a mindless action flick featuring a bunch of famous actors and recognizable faces, the Russo brothers turn into heartwarming, brutal, funny and always entertaining flick. It packs a punch, while always keeping you emotionally invested in each of the many plots going on, whether that’s through comedy or drama, like the Marvel films have always done extremely well. But the real strength of “Infinity War” lies in its magnificent pacing, as it turns a nearly three-hour experience into something that never felt boring or repetitive. It never felt like we lingered on one plot over the other, with each getting the proper amount of screen time without it ever dragging. This film honestly moved so quickly that it felt like it was barely an hour-and-a-half, not three hours. Some will say that this movie is overwhelming and has to juggle far too many plots, but because each of these plots was so enjoyable and rich with character that I didn’t mind all the back-and-forth, as it connected this universe in ways it has never been before. 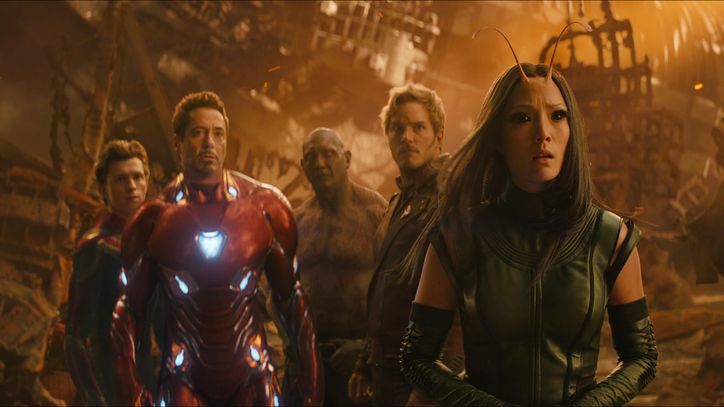 I will say that “Infinity War” certainly benefits from having seen every single Marvel Cinematic Universe film, including the bad ones like “Thor: The Dark World.” This one does its best to bring new viewers up to speed, but there’s only so much it can do. Outside of that though, there really isn’t much going against this movie. It is one of the most entertaining movies Marvel has ever come out with, while also remaining touching and human, never getting too caught up in the scope to forget about the little people. Without writing a novel about the story of “Infinity War” and everything that’s going on with its 50 main characters, the central plot revolves around a villain that has been hinted at since “The Avengers” – Thanos (Josh Brolin). He is finally putting his plan into action, collecting all six of all-powerful Infinity Stones throughout the galaxy, so that he can use their power to remake the universe how he wants it. Due to the events of previous Marvel films, two of these stones are on Earth, one with the mystical Doctor Strange (Benedict Cumberbatch), and one with the android Vision (Paul Bettany). After finding out about Thanos’ plan, Hulk/Bruce Banner (Mark Ruffalo) is sent to Earth to warn the Avengers and other heroes of his impending invasion, while Thor (Chris Hemsworth) does the same with the Guardians of the Galaxy, resulting in every known character teaming up in one way or another to stop Thanos. But I feel the main focus of “Infinity War” is on Thanos and how he goes about getting each of the stones, as well as the personal struggles he’s had to endure throughout his tortured existence. This is very much his movie, which is unique for Marvel – one devoted to a villain. The strangest part about that is they give Thanos so much character and depth that you see where’s coming from. He’s not like Loki or Ultron, who just want to be powerful or evil, Thanos truly believes that what he’s doing is for the greater good of the entire universe. He’s sympathetic yet menacing, doing something that only he feels he can do and does so without passion or prejudice. Let’s face it though, people didn’t go to “Infinity War” to see Thanos, but for their favorite heroes, and even though this is an epic with a cast of thousands, every big-name hero gets a moment to shine. Whether it’s Spider-Man (Tom Holland) calling back to more “old” movies, War Machine (Don Cheadle) standing up for his teammates in the face of the government, or Drax (Dave Bautista) being the lovable gruff oaf, there’s something for everyone. The equally impressive part is that the tone of each franchise is kept intact, like how the comedy and atmosphere of the Guardians of the Galaxy is maintained without losing anything. 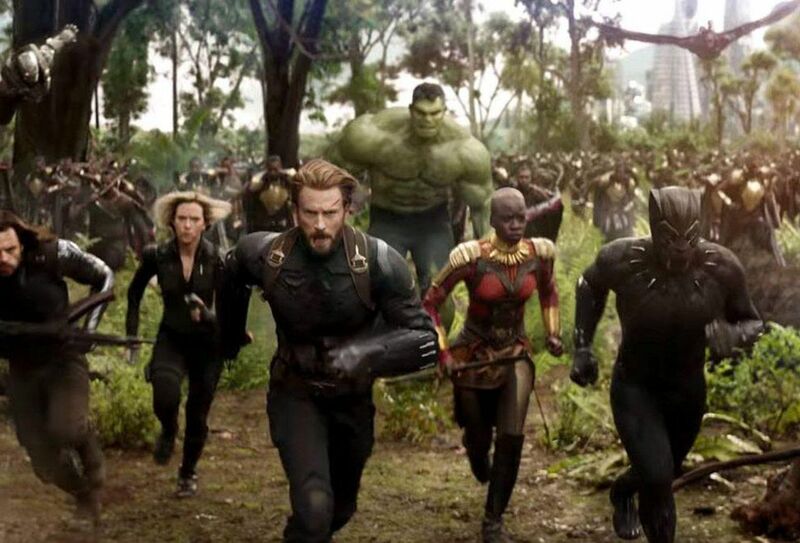 There are some heroes that don’t get as much screen time as others, like Captain America and Black Panther (Chadwick Boseman), but they all still play a vital role to this picture. But what makes me the most happy is that Doctor Strange’s cape, which I lovingly nicknamed capey, has just as much character and charm as he did in the last film. He’s still the sarcastic yet sadistic piece of clothe we all know and love! This is the power of “Infinity War” – it’s been days since I saw the film, and I’m still giddy about what happened. Little moments like the heart-to-heart between Thor and Rocket (Bradley Cooper), or Star Lord (Chris Pratt) learning the truth about “Footloose,” bring a smile to my face. As much as all blockbusters try to do this, very few succeed, and “Infinity War” does this better than any other blockbuster I’ve seen in a long time. This makes it not only worth seeing, but worth seeing two or three times. “Avengers: Infinity War” not only masterfully handles its herculean task of combining dozens of franchises, plotlines and characters into one coherent picture, but does so while balancing its rather dark looming atmosphere with the charismatic charm we’ve come to expect from Marvel. This is far more than just another summer blockbuster, but an ambitious and satisfying experience.